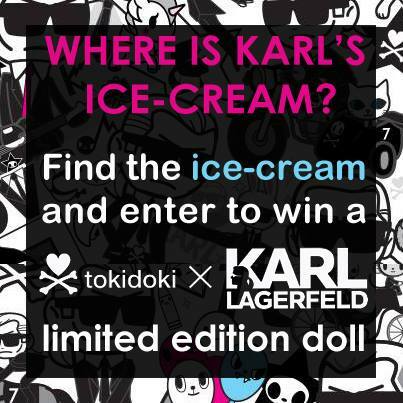 One of the most anticipated collection from Melissa x Karl Lagerfeld is now available in stores. I like the concept, combining Melissa’s classic Incense heel with an unexpected glittery cone at the back of the shoe. If this was me few years ago, I would have been one of the first few to place a pre-order on these beauties but now that I’ve got my own shoe line, hmmm kinda overwhelmed with the amount of shoes I’ve got. 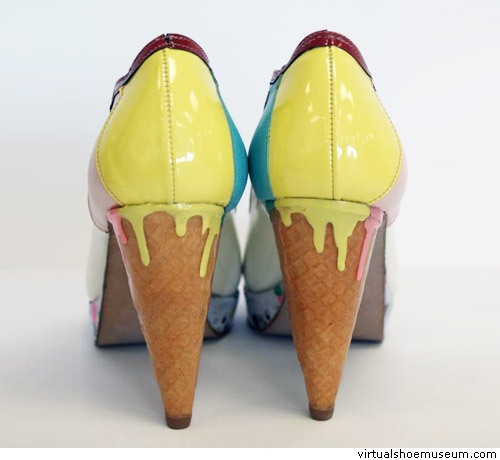 But hey.. Kaiser Karl ain’t the only one who came up with the kitschy ice cream cone heels. 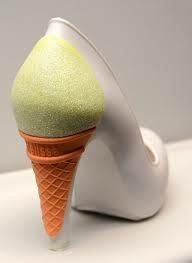 Other designers like Steve Apeah, made a pair of pumps with real ice cream cones. Synthetic resin was used to stiffened the heels, wonder if its strong enough to uphold the weight. This pair won him the Crazy Shoe Award 2011 in Vienna. Can’t seem to find any other works from him besides this. Another designer that had the same concept is Aycin Aydogan of Oyee Design Launched in 2010 and her signature is hand painted designs on leather. This is pretty wearable, I like the colour combination, gives the wonderpop feeling. From Irregular Choice. Not surprise that they did a version too, it’s so their style. This pair has a picnic feel to it, they have other versions that are pretty much in your face. Even their website’s kinda trippy. 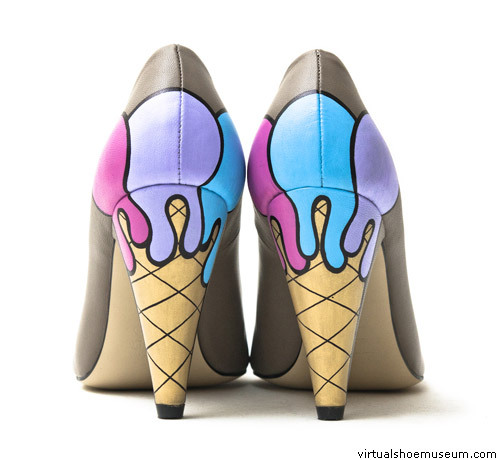 So far, theirs is the only pair that has the ice cream cone heel in 3d!